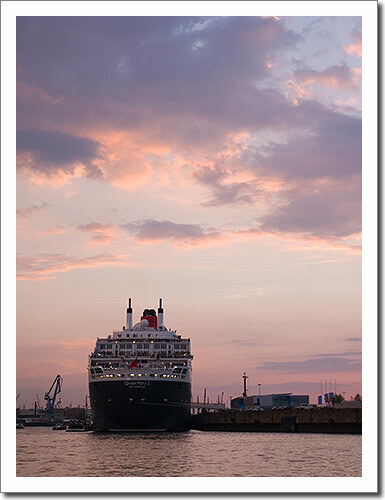 Last time the QM2 was in Hamburg I missed her, but this time around I was at the terminal short before sunrise. Unfortunately the weather was typically north German again, and there was such thick fog that I could no see any further than 10 meters. On top of that there was lots of security around the cruise terminal, so I was basically out of luck. 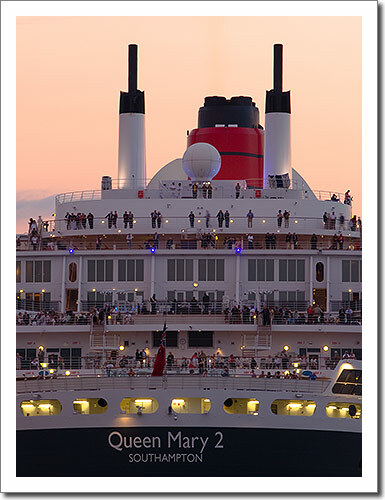 At around 9 am the fog was gone and the sun was up, but I’d already missed the morning light and the QM2 was surrounded by repair crews from all sides. So I gave up for the morning and decided to come back in the evening. Since the sunset was at 20:20, I was at the terminal at 19:00. 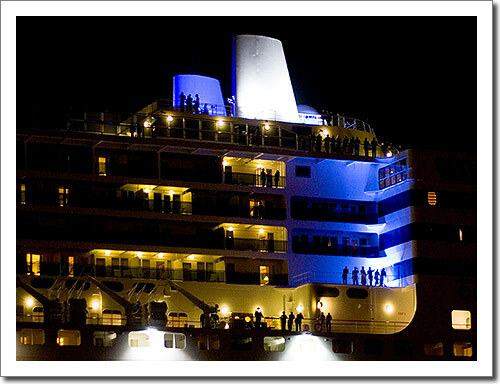 But there were so many people and so many cars, that I could not even get close to the ship. My only choice was to go back to the nice location from the morning and wait for the sunset. Still, it was a nice day, and I’ll probably go again when she returns in July, 2008.